In the early 1800s, when scientists first discovered Iguanodon bones, they thought the fossils were the remains of a super-sized lizard. But lizards, snakes and turtles are not that closely related to dinosaurs. Dinosaurs are a very distinct group of animals, even though they had scales and backbones like other reptiles. 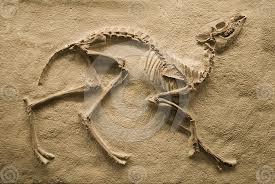 Find out more facts about dinosaurs and go on a dig for fossils Sept. 23, 3:30-5 p.m. at Dani’s Dreams!